TEHRAN, Iran - An Iranian government-affiliated agency has banned dolls of the Simpsons cartoon characters, who join Barbie and others on a toy blacklist, an independent newspaper reported on Monday. 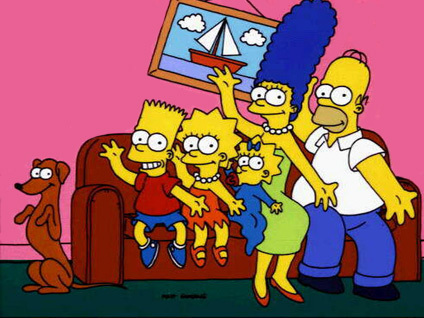 The report said that the Simpsons were banned to avoid the promotion of Western culture. But Superman and Spiderman were allowed, because they helped the "oppressed." "We do not want to promote this cartoon by importing the toys," Shargh daily quoted Mohammad Hossein Farjoo, secretary of policymaking at the Institute for the Intellectual Development of Children and Young Adults, as saying. Farjoo said however that dolls of Spiderman and Superman were authorized for sale. "They help oppressed people and they have a positive stance," he said. The agency is the same that called Barbie dolls a "Trojan horse" in 1996. In January, police said they closed down dozens of toy shops for selling Barbies. Since the 1979 Islamic revolution that ousted a pro-Western monarchy, Iran has tried to fight Western cultural influence. Despite bans on many books, movies, satellite TV channels, music, haircuts and fashion from the West, many young people follow Western culture avidly and can often obtain illegal products on the black market. In 2011 Iran imported $57 million worth of toys. Officials believe some $20 million more worth of toys were smuggled across the border the same year. One-fourth of Iran's population of 75 million is under 15 years old.